Get to know Dan Gilroy, the incredible screenwriter behind Nightcrawler as he discusses his creative process and openness to experimental screenwriting. 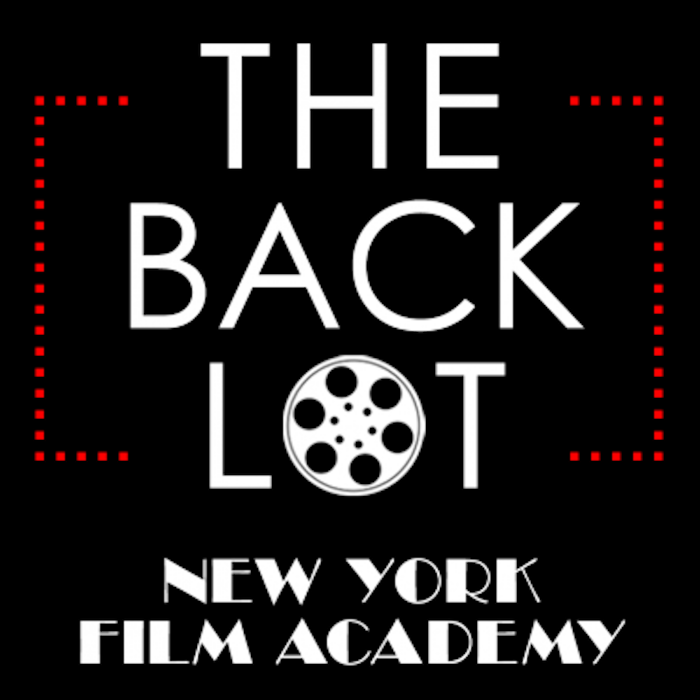 Eric: Hi I’m Eric Conner senior instructor at New York Film Academy and in this episode we’re taking a look at Nightcrawler. No, not the X-man. The dark satirical drama written and directed by Dan Gilroy. — I’m looking for a job. Who am I. I’m a hard worker. I set high goals and I’ve been told that I’m persistent. Morning News If it bleeds it leads. We find our viewers more interested in urban crime creeping into the suburbs. Think of our newscast as a screaming woman running down the street with her throat cut. Home invasion triple murder and Granada Hills. We got there before the police. What if my problem wasn’t that I don’t understand people that I don’t like them? What if I was obliged to hurt you for something like this? I want something people can’t turn away from. – Jesus you sound like Lou. – I think Lou is inspiring all of us to reach a little higher. Eric: Nightcrawler tells the story of Lou Bloom played by Jake Gyllenhaal who makes a career out of filming LA’s grizzly’s moments. When Mr. Gilroy spoke to our students he spent much of the discussion focused on his modern day noir. So if you haven’t seen Nightcrawler you might want to. Go ahead. I’ll wait. Pretty amazing right?! And it’s his directorial debut. After 25 years as a writer in Hollywood he was ready. His credits include Kong: Skull Island, Real Steel, The Bourne Legacy, and of course Freejack, with Mick Jagger as a future cop. Eric: Doesn’t that sound perfect. Well Mr. Gilroy wasn’t such a fan. Dan Gilroy: If you put a lot of time into it you can start with a horrible movie like Freejack and wind up with this. There’s hope for all of us. You can’t escape IMDb. It’s funny when I started there was no IMDb. It was actually really difficult to find people’s credit and it was kind of nice actually because we all have movies in there. I met my wife on Freejack. I met Renee on Freejack. I was the third writer and she replaced Linda Fiorentino. The cast you probably knows the cast of Freejack is with Anthony Hopkins so it starts out sounding really good. Then Emilio Estevez made some good films; Mick Jagger; and Renee and somehow it never really fully jelled. Eric: Even if he was less than thrilled with the final movie at least it made it to the screen and into my VCR. But that was not the case when he was one of the writers on Tim Burton’s Superman Lives. Problem was, back then comic book movies and Tim Burton himself were not such a sure thing. Dan Gilroy: I got brought into to Superman Lives Tim Burton was doing it. John Peters was producing it Nick Cage was Superman. Chris Rock was Jimmy Olsen. It was very wild. It would have been so cool. Unfortunately, the budget kept going up. Tim had just come off Mars Attacks his stock creatively wasn’t as high as it probably hopefully would have been. And after like a year they pulled the plug on it it was very painful. Very painful. I worked on that for a year. Eric: If you want to see some of the behind the scenes chaos check out The Death of Superman Lives: What Happened, by Jon Schnepp. You know, in case you doubt Hollywood can be a tortuous path. Luckily Dan Gilroy has his family. His wife Renee Russo is the star of Ransom and Freejack. His brother Tony is the Oscar-nominated writer-director of Michael Clayton. His other brother John edited Rogue One and all of the brothers worked together on The Bourne Legacy. Working with family can be a blessing and maybe a bit of a curse. Dan Gilroy: You know I think the biggest arguments I’ve ever gotten to my life have been creative arguments with people. And there was a time that Tony and Johnny when we were younger got into terrific creative arguments but as we’ve gotten older I think our sensibilities are sort of entwined. So I would advocate working with family or friends if you feel I mean I’m not saying get yes men or people like that who are going to agree with you. I mean it’s ok to have people that aren’t going to agree with you but in general don’t work with people who are it’s going to be explosive horrific destructive fights and really creative fights I think because there is obviously no winner and people have a tremendous emotional investment to their opinions and and so I think the thing about working my brothers and Renee is that we have a language at this point in our lives that we just we have a sensibility. We like the same things we understand the same things we’ve been through similar experiences. Eric: Mr. Gilroy was developing the story that eventually became Nightcrawler for almost two decades. Dan Gilroy: So the genesis of this was this goes back. I’ve been thinking about this for 20 years. Twenty years ago I went into something called a bookstore. They don’t have them anymore. It was a bookstore and there was a big picture book about a guy named Weegee who was a crime photographer in the 1930s. He was the first guy to put a police scanner in a car and he drove around New York City and he took these insane black and white photographs of crime. And I thought wow that’s just a really cool idea for a movie. Joe Pesci did the movie. Time went on I moved out here and about six or seven years ago. I heard about these people who did the job now so I going oh this is like the modern equivalent of this guy from the 30s these guys with video cameras. So I thought wow this the great world I can’t believe nobody’s ever done a movie about this before. So I started thinking “oh it’s like a conspiracy movie it’ll be like a murder mystery kind of thing.” And I kept trying it. I kept beating my head into it. I tried it many times and it just like didn’t feel right. And then a couple of years ago I came up with the idea of the anti-hero and then that fit. So the answer to your question is there are many scripts I’ve worked on for myself where I start – I’ll get ten pages in 40 pages in 70 pages in and I’ll go like “I have to be honest. This is not working.” I’ve invested seven months in this and I’ve had many times to me. And you have to step back and be honest and go. It’s not working and put it aside and then think about it some more and try something else and then try something else. And. So it’s not. Sometimes it doesn’t come easy. Eric: Once he decided to do the film Mr. Gilroy threw himself into learning everything he could about the news industry and its unique set of characters. Dan Gilroy: I did a lot of research about it she’s always throwing out these things so just so just right away and I’m going like I know I want her to speak like one of these people. And then the hard thing about dialogue is dialogue is moving the story forward without letting the audience know that you’re moving the story forward. So that’s the hard thing about dialogue. It’s not just dialogue. It’s coming up with the concept of the scene. This is the hard part of screenwriting the hard part of screenwriting is taking the story beat by beat. But every time you finish one scene what’s the next scene and how do I tell it. What’s what’s what’s the best possible way that I can compress and tweak it and put a spin on it and then then start to write the dialogue because so often I think you can wind up if the scene is just flat. If the scene has not been conceived if the scene is just a standard seen it before cop procedural whatever it is if you don’t have some spin for it or something different no dialogue in the world is going to sound good. It’s really the dialogue goes hand in hand with the concept of the scene and the concept of the scene is shaped around the idea of how can I go across this little ravine of the story. I’m going to build a bridge but I want it to look different than any other bridge so that’s really it’s wrapped up in that. Eric: When you read the screenplay it almost feels like a graphic novel or like someone’s telling you the script. It pretty much ignores every rule of screenplay format but it works. Dan Gilroy: There is no interiors and no exteriors there’s no day or night there. It’s basically one long run on sentence with a lot of little triple dots in between. And I play with the font a lot, where I expand the font really big and make it small and I was in an odd mood and I was experimenting with the style and I just it’s just I just like that style. I’ve never used it before and I’ve never used it since I’m writing another script right now and I’m not using that style for this style it worked. It was like. It was like a stream of consciousness a little bit. I read a lot of screenplays. I’m a screenplay nut. I like to read other people’s screenplays because I like to see what people are doing stylistically because you want to play with the form. I mean you can just do the dry form and you can I mean it works. If you had a good story and whatever but it’s fun to play around and make it your own you should look. There’s a lot of people doing a lot of different slightly different variations of things and it’s kind of interesting double spaces triple spaces cut to’s or no cut to’s and just over direction no direction. I had no parentheticals in this studio that’s the other thing I never indicated at any point what somebody was thinking or feeling. And I never I really almost barely described what people looked like or anything like that was a very it was a 104 page script was very reductive. Eric: Once he wrote the script he knew the story was just too important to him to allow someone else to direct it. Dan Gilroy: I believe if the writer and director are different. Many phenomenal great films have been made that way one of two things are going to happen either the director was going to go I like the writer or I want the writer on the set. Let’s talk about let’s collaborate and somehow you get a similar vision or the director is going to say I don’t want the writer on the set or I want to hire other writers. It’s a directors medium ultimately and so. Writers intent has a much greater chance obviously of getting through. If it’s the writer-director I think – I think a writer-director has a unity of thought that you don’t often find. I mean there’s so many great movies made the other way. There’s just a unity of thought sometimes like Michael Clayton. Tony wrote and directed Michael Clayton. It’s a hermetically sealed thing. It’s just like there’s no daylight between the writing and the directing it’s just perfectly and I think there’s not much daylight between the writing and directing in this. You do get to the point when you see enough for your work get up on screen that it’s like oh dear god I have to do this myself. It just is too painful matter how much they’re paying you or what it comes out like and it just it just certain point you go it’s just, “No no no wrong wrong wrong. That wasn’t what I intended across the board.” So like this one when I wrote this one it’s this is a very personal film to me. This is all of the ideas and themes this is this is this is a window into my my views right now. I mean this is this is what I do so it’s a very personal film to me so I couldn’t envision giving this to anybody else. And the choices that we made on a minute by minute basis would have been made very differently. And the effect would not have been the same. So I had to direct this. Eric: Mr. Gilroy was equally as passionate about filming the story in Los Angeles and it’s one of the few films that really makes L.A. at night feel like L.A. at night. Dan Gilroy: It was an L.A. movie because this is where these people do this thing. There was really no other place to set it. So I wanted to shoot here. I’m from New York. But I think L.A. is just really physically beautiful. And I find it physically beautiful and I find it really woefully oddly represented in film because I feel most the time when I see in L.A. film a lot of times it’s like desaturated literally desaturated and it’s kind of yellow and gray and it’s always hazy and if it’s not that then it’s like cement and freeways and it’s just not what I see. I mean just driving here tonight it’s physically beautiful. Coming up over the hills you can see forever there’s this weird desert light and it’s really not cement and freeways. I’m from the East Coast I know cement and freeways this is this L.A. to me is like it’s not even like fully civilized it’s like we’ve colonized it. I feel like, I feel like, like a wave could come in and if it reseeded it would just wash any trace of us out. It would just be like we’d be back to where it was which I love. So we wanted to shoot L.A. as a place that was physically beautiful. So we were picking locations where civilization butted up against an ocean or a national park or a desert just like the sort of sort of civilization sort of petered out. And we also wanted to get a sense of how big it was so we were shooting really wide angle. We went down to 14-millimeter lenses. I wanted you to feel that when you watch the movie when you walked outside if you’d seen it in LA at night you felt like you were sort of stepping out of the movie into the movie. So soft focus to me was not what I was looking for there’s only a couple of soft focus shots we were trying to do deep focus because it brought in as much of the landscape as possible and then the other thing about shooting a night in L.A. is there’s no traffic so you can move. We could do these double moves because you’re out in the middle of the night and I just love the energy at night. Energy is the nighttime is it’s just it’s just cool. It’s just nice there’s so much going on at night and it’s just like it’s a whole it’s another city. Nobody’s around and it’s just like it’s beautiful. Eric: Despite his being a rookie Mr. Gilroy was able to get Oscar-nominated actor Jake Gyllenhaal to star in Nightcrawler. Mr. Gyllenhaal has had his share of creepy roles before like Donnie Darko and even Prisoners, but this is by far his creepiest. Dan Gilroy: There are many actors who will never work with a first time director Established actors. And it’s probably smart because really get your trust. So first of all Jake is an extraordinarily bold artistic spirit that he would entrust his career with me. So I flew to Atlanta. He read the script he liked the script. So I sat down with him. Jake said Hey man look I’d love to do this. I want to be a collaborator and creative partner. I want to rehearse. And I was going absolutely. So working with Jake became a process of I had an actor who was so deeply committed to the part and so willing to do almost anything. The only thing he asked of me was something I was already willing to give which was can we try stuff. Let’s not think about whether it works or not. If it doesn’t work we won’t use it but can we try. And I was always yeah if we have time let’s make time let’s try. So for us it was always a thing of experimentation. It was different takes on the set. The whole thing for me when we were on when we were doing a scene was how much time can I buy to allow Jake to do as many takes as he wants to do or I want to do to experiment. It was never about like I have a certain frequency and you have to match that frequency and we’re going to be here until we are. It was never about that. It was really finding this character because this is a very complicated character and we didn’t know ultimately what takes ultimately were going to wind up in the film. Invariably what we wind up doing is we wound up using a lot of takes where he’s smiling again because I wanted to keep that connection between the audience and the character. The second we started going takes where he’s dark or loud then it’s like people go oh he’s he’s the crazy he’s crazy that’s what this movie’s about. So we never wanted that. So working with Jake was really like. Finding a partner who was who wanted to experiment now that’s not going to work for a lot of directors. Jake never changed a word by the way. But we experimented deeply with the character way off the page and found a lot of great stuff. Eric: Jake Gyllenhaal turned out to be more than just a great performer. He was also an ally who helped Mr. Gilroy fully realize his vision. Dan Gilroy: People are looking at you as a first time director and they are so unsure. See what happened was because Jake and I creatively partnered. We formed a team that nobody could touch because Jake is the money your star is the money. So when you’re when your star get something financed few people. Ultimately are going to wedge the star off an idea. If I was out alone if Jake and I had not partnered I would have been susceptible to many strong winds blowing about ideas and processes and things like that which that would have made it even more difficult because what happens a lot of times first time directors. You’ll get your star you’ll get your money then they are going to look at you and go you can’t do it and that’s not and you’re going like this is really important. And they go No you can’t you can’t do that if you’re allied with your star there is nothing they can effing do because your star is going to go Amber is going to do that. And we had that situation. Eric: Mr. Gyllenhaal even when the Christian Bale route. Losing a ton of weight for the role. Much to the chagrin of the producers. Dan Gilroy: This is the producer nightmare. He lost 27 pounds for this part. Two days before we started shooting we had our first camera test and we were over at the color lab and all the big people are over there looking at and now suddenly there’s Jake having lost 27 pounds and it all makes sense now but believe me the producers were flipping out. It was like “Oh my god! I don’t recognize them. He looks bizarre. This whole thing is not going to work. He needs to gain 10 pounds before we start shooting.” But Jake and I were like “No I like it. You like it Jake? Jake likes it. I like it.” Nothing we’re going to do about that. Eric: Considering this movie’s budget the look of it is just stunning. That’s thanks to Robert Elswit the Oscar-winning cinematographer of the town and There Will Be Blood. Dan Gilroy: OK so we had I think five shots on our shot list that night. That was the master where we just shot a master and we had paused the tape at such a weird place where Rick was like looking up like this. It was so strangely absurdly horrifically funny. We were kind of like laughing Robert and I. And by the end of the first take Robert and I looked at each other and go like I don’t think we need any more footage, and it’s like I think we’ll just go with the one shot. And I called my brother John who’s the editor and I said “Look I think I’m going to go for the one shot.” He goes, “Dude! Don’t leave me hanging. You got to get coverage.” blah blah blah. I think we’re going to go with the one shot. So there’s times that you that you do definitely. You do want to accommodate the location. Eric: All this preparation was necessary since Nightcrawler’s low budget meant they could only shoot for a handful of days. Dan Gilroy: It was a low budget movie. We made this movie for Eight and a half million dollars in 27 days. So there was no time we were moving so fast that locations were dropping out new locations were popping up. Eighty-four locations if you count all of the shots at the beginning. So we were doing double moves many nights double company moves. So there was no time to like to be that formal. You know I’m sure Kubrick and all these people who have like David Lean probably you have all these years to make stuff, I’m sure you could go nutty with it. The only idea we had is like we had gone to locations we knew we knew what lens we were using. We knew the blocking. We had a shot list but there was no we had a vague color palette but it wasn’t really a color palette it was pretty naturalistic to be honest. Wasn’t it wasn’t as formal as that. Maybe next time. I don’t know. Eric: Mr. Gilroy’s attention to detail continued all the way through post-production. Dan Gilroy: The music is incredibly important this movie. Incredibly important. Robert Elswit says that music is more powerful than the visuals. Robert Elswit, “What I do is important but of course the music is more important.” Music is an incredibly powerful tool. And so when I sat down with James Newton Howard. I told him I said look I said the music in this movie is the music in his head. This is the soundtrack in Lou’s head. We never pass moral judgment on this character through the music. And the example would be if for one minute we had put it Kronos Quartet type violin. You would have gone like, “Oh yeah he’s crazy. He’s a total nut.” Instead. The music, in the beginning, is this soaring uplifting triumph of the human spirit. And when he steals the bike and goes in a salvage yard it’s like it’s like this cue from Wall-E. It’s like oh he’s lil industrious guys is just instead of like oh just he actually just stole something or. Or when he’s dragging the body. It’s an electric guitar. That just starts to like get really loud and powerful. So we celebrate him. So the music is doing this tremendous psychological job for us it’s keeping people who are engaged in the film it’s keeping them from judging him. That’s what this music is doing and it’s beautiful music. James did an incredible score. The only thought I had was I have to do everything I can for the audience to like this guy. That’s my only thought. I thought if not like him but if you can not write him off so cinematically Robert Elswit I would never put a shadow across his face when he’s doing something. Matter of fact. Usually, when he’s doing something wrong he would usually try to pull back and make him small in the frame. So it was like like trying to minimize what he’s doing. Oh don’t judge this guy you know because the acts speak for themself. He kills seven people in this movie. If you add it all up I wanted it to be like a punch in the face. I wanted it to be shocking. I want it to be like psychologically like what the F it’s like what the hell just happened. I don’t why am I engaged with this guy. Why. Why do I like him and what’s wrong with me and that’s what I wanted. These are all the questions that I wanted. Because we are part of this world. You know, we’re all in it together. Eric: When you watch Nightcrawler it feels like it’s Dog Day Afternoon on wheels. Or maybe what a road movie would look like. If Sidney Lumet had directed it in the 70s. Dan Gilroy: People say this is like a 70s film in the 1970s. There was a lot going on the Vietnam War was winding down. There was a lot of energy about changing the world and a lot of idealism so in the movies in the 70s people said stuff. And the reason they said stuff is because if you were in the 70s and you made a movie and you didn’t say something. All your friends are like what the F are you making a movie for if. It doesn’t say anything. You are utterly looked down upon. I mean I was like I assumed you’re going to say something movies now. Are almost all escapist. They’re escapist by definition of being superhero movies or sequels it’s all about escapist entertainment. What I believe about this film is it’s rare in the sense that something’s being said some I’m trying to say something. And I do believe that because we live in an age of escapist entertainment not too many people are trying to say larger things. So I mean there probably are some but I want to say there isn’t anybody but I think if you want to succeed do what people are not doing. And right now nobody is putting messages in movies don’t make a message movie because will be boring. But, but if you want to put in something that you feel strongly about that has some societal value that you think other people it’s a plus and a movie it’s not a negative. I think. Eric: I’m not sure about you but I am ready to watch this again. Thanks to Dan Gilroy for the lesson in how to get away with murder and to all of you for listening. This episode was written by me, Eric Conner based on the guest speaker series produced and moderated by Tova Laiter. The episode was edited and mixed by Kristian Hayden; produced by David Andrew Nelson Kristian Hayden and myself; executive produced by Jean Sherlock, Dan Mackler and Tova Laiter. Special thanks to Mike Civille for co-moderating and to Aeriel Segard Robert Cosnahan, Sajja Johnson and the staff and crew who made this possible. To learn more about our programs. 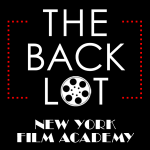 Check us out at NYFA.edu. Be sure to subscribe and leave us a review on Apple podcasts. Now if you don’t mind I’m going to go watch me some Freejack.